2015 Little Summary and New Goals for 2016! As you have probably already read on my blog 2015 was a very successful year for me. I gained more than 100 ELO points, just like in the old good days when I was very young 🙂 I also managed to play quite many games (almost 80). When I was still a junior I used to play more than 100 games per year but such amount of games played in one year will probably be only possible when I retire 😀 From now on I will try to play minimum 40-50 games each year (hopefully it will be more!). Also important point to note I chose only very strong tournaments and I shall continue doing so. I can’t afford playing some weak tournaments as time is too valuable. Regarding my International Master title the application is already online at http://ratings.fide.com/title_applications.phtml?details=1&id=1127993&title=IM&pb=44 and as far as I understand I’ll get it after the nearest FIDE Presidential Board Meeting which is held at the end of March in Moscow. Tournament website: http://www.chessopengraz.com/2016/de/ – You should find there link to online tranmission so you can watch some top games live. 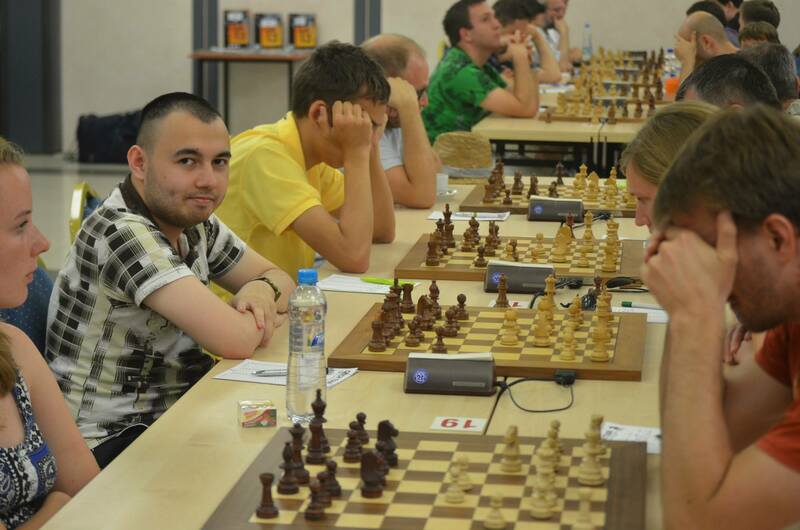 Link to detailed results: http://chessarbiter.com/turnieje/2015/tdr_4099/results.html?l=pl&tb=202_ My team was 9th but we were very unlucky to play against best team in the last round which we lost terribly… Had we won the last round we would have been promoted to the 1st League. …I promise to give 1 highlight from my latest games soon! Indeed the performance 2531 is quite stunning, I recovered nearly 60 ELO points and what’s the most important – I played against really strong field (5 GMs, 3 IMs, 1 FM – average rating 2488) – detailed info under this link: http://www.chessarbiter.com/turnieje/2015/ti_1274/results.html?l=pl&pr=59_. But… about my previous tournament there’s not much to say, I played couple interesting games but the overall score was much below expectations. My performance there was 2230, so how on earth it is possible to perform 300 ELO points better just within couple days? 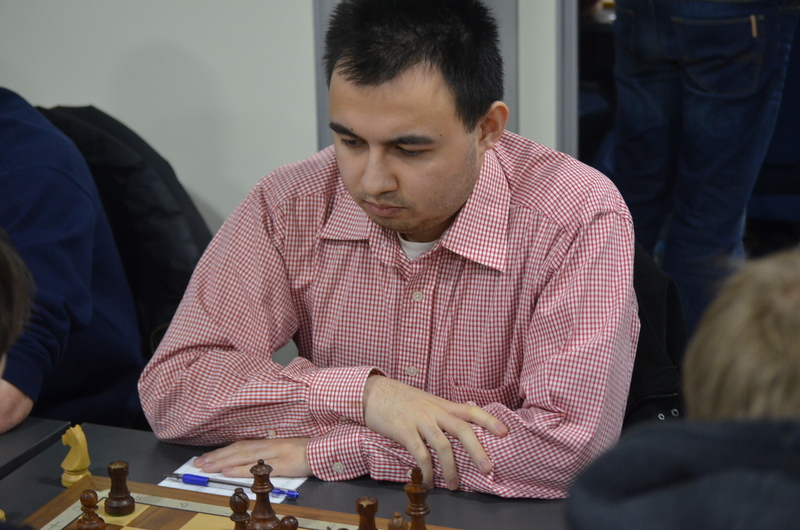 …and here is me playing against the legendary GrandMaster Oleg Romanishin (https://en.wikipedia.org/wiki/Oleg_Romanishin) – probably the toughest opponent I have ever met. Playing against him was really inspiring. He crashed me terribly 3 years ago but this time I managed to make a draw. I have already played in Ostrava in 2008 (my first tournament in Czech Republic) and scored very well, 8th place and performance close to 2400. In next years I wanted to play there again but somehow I was unable mainly due to school obligations. 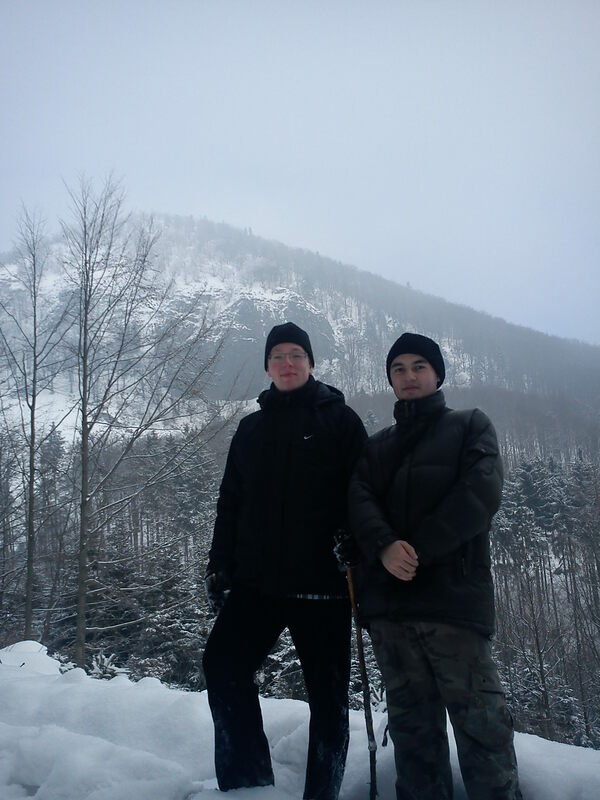 This year I have lots of things to do at my university but just few days before start of the tournament I decided I can get away with it. I was 6th on the starting list and first and second round were quite easy for me, sometimes this is a key for me to score well in the tournament – just not to loose any points against weaker opponents. In 3rd and 4th round I didn’t play great but well enough to score 1,5/2 against players 2300+. 26…Rc2 27.Nxd3 Bb5 28.Ke1 preparing Rd2 but there’s 28…Be3 and White is in kind of zugzwang! 26…d2 27.Nd3 Be3 and White can’t give up exchange by means of 28.Ke2 because of …Re8 and if 29Rxd2 then …Bf4+ 30.Kd1 Ba4+ winning and in case of let’s say 28.b3 Black can play 28…d4 followed by …Rc3, …Bb5 etc. White is busted. In the game however I went completely wrong, I played 26…Ba4? 27.b3 and I could still keep something with 27…Bb5 but I played 27…Rxc1?? and after 28.Rxc1 Bxb3 29.Rb1! White is winning… I totally missed move like Rb1… now after 29…Bxc4 came 30.Rxb6 axb6 31.Ke1 and Black couldn’t survive. It’s really bad I didn’t win this position… I should win position like this even against Kasparov because if I don’t win having so big advantage how big should it be? One can say “it happens to everyone” and it’s true but I should find the reason of my bad decisions anyway. Rounds 6th and 7th were quite strange for me. In 6th round there were many mistakes from both sides, game was very messy and eventually drawn and in 7th round I equalized with Black and just kept pressure for some time and my opponent blundered so I won easily. On the other hand 8th round was very interesting, I recommend you to find this game in database (Pacher Milan – Nguyen Piotr, Ostrava 2012). 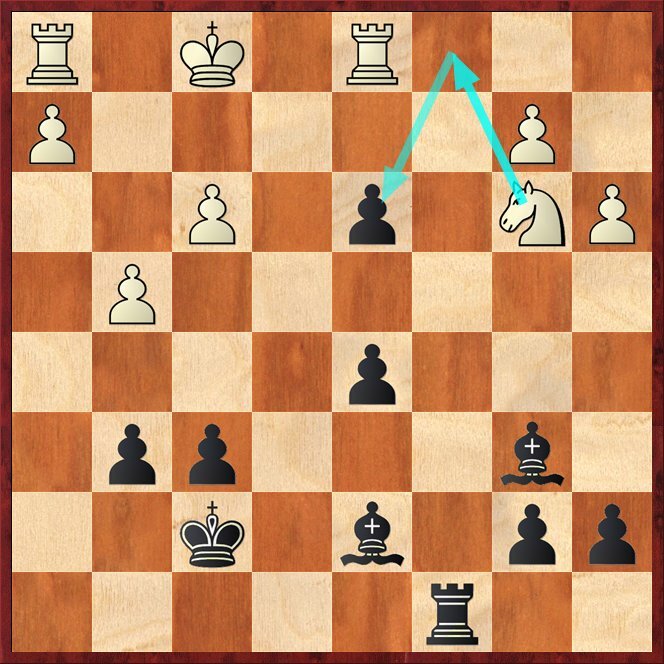 I played Black against young IM 2400+ and it was extremely sharp and after difficult battle it was me who scored one point! And to my surprise I had great result in the tournament and draw in last round was enough for me to get International Master norm. Those who are reading my blog regularly understand how much I tried to get this… So the last round was agreed for a draw without any hessitations from both sides. I was White and win would give me 1st place in the tournament so I could try but norm is a norm, I can play next tournament but now I achieved this what I was trying to achieve for almost 3 last years… (my first norm was during holidays 2009 in Olomouc). To Summarize: I played just normal chess, nothing special and in the only game where I had really professional opening preparation I lost. What was the key I made this IM norm so easily? I don’t really know… 😛 Maybe all I needed was more experience and good tournament (average of my opponents was 2300+) so I could show sth instead of constantly fighting with much weaker opponents. But today I recovered quickly winning against International Master Viktor Volodin and now I’m waiting for results of other players. The final results will be maybe in two hours. The organizers of the Czech Tour always make tournaments in places nice for tourists. It partially answers the question why there’re so many foreign chessplayers coming for chess tournaments in Czech Republic. The possibility of spending free time is just very attractive. After 4 rounds there’re five players leading in the tournament with 3,5 point (I’m on 4th place). And ten players have 3 points with good chances to catch current leaders. I think it is worth noting on shared 6-7th place there is little boy (11 years old) with same name as mine(!) Nguyen Thai Dai Van. I think we’ll hear about him more and more in the future and I’ll surely follow results of this young talented boy. I managed to pass all my exams at the university so now I have deserved winter holidays and it’s not hard to predict I’m going to play chess tournament! I haven’t been training for some time but I believe I have kind of fresh mind and I’ll be able to find some creative ideas over a board. Last year I’ve played few tournaments abroad (France, Ukraine and Romania) but this time I’ll play in Czech Republic where I played some tournaments in 2008 (Ostrava), 2009 (Nachod, Olomouc, Plzen) and 2010 (Prague, Olomouc). I always enjoy participating in chess events in Czech Republic, I don’t know why these tournaments despite of low prizes attract strong players from many countries! 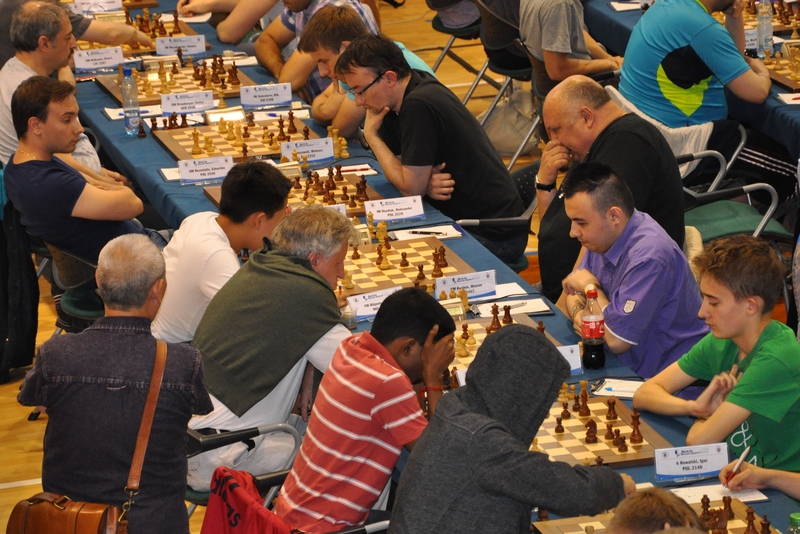 In Poland there are many local tournaments where the prize is comparable but no one would ever dream about inviting one foreign International Master. I totally don’t understand why there’s so huge difference. On 6th February 2012 there were registered 97 players from 9 countries(!) including 1 GM, 6 IMs and 1 WIM. Having said that there is theoretical possibility to make International Master norm which I’m trying to get for quite a long time… (I’ve got one so far from Olomouc 2009). All results shall be here http://www.czechtour.net/novy-bor-open/results-and-games/ so keep fingers crossed for me and follow my results. I’ll write some reports here if I have Internet connection there.